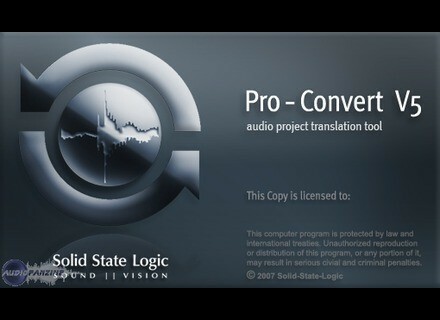 Pro Convert, Other Software from SSL. Solid State Logic announced the release of Pro-Convert v5.5 for Apple Macintosh computers at Musikmesse 2009. Pro-Convert is designed to enable workstation users to convert session files from one format to another. The new Mac version supports the most popular workstation formats: ProTools 7.x, Cubase/Nuendo, Logic, Final Cut Pro and SSL's own Soundscape. The Mac version also sees the introduction of a new user interface that will be made available to PC users in Fall 2009. The new interface presents a single control window from which all project settings can be manipulated. It also provides identical functionality to the PC version of Pro-Convert, but streamlines the user experience and facilitates the ability to save conversion presets that enable users to return to frequently used project configurations quickly and efficiently, according to SSL. 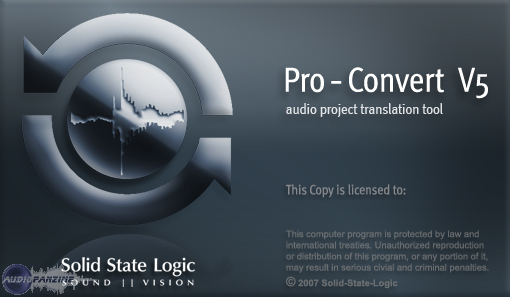 Pro-Convert for Mac will be available as of May 2009 via SSL resellers and direct from the Solid State Logic Web store for $349. Check out www.solid-state-logic.com for more info. Yonac Software MegaSynth Yonac Software has announced the release of MegaSynth for the iPhone and iPod Touch.